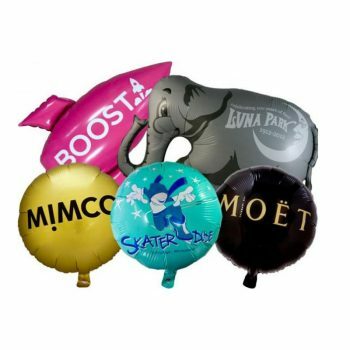 Bring life to your parties and create spectacular atmosphere with party balloons! 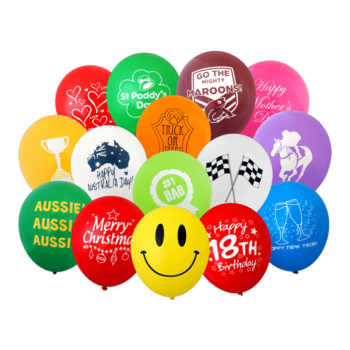 At Specialty Balloon Printers we print your party balloons in many colours and print designs. We cater from all over Australia and New Zealand. 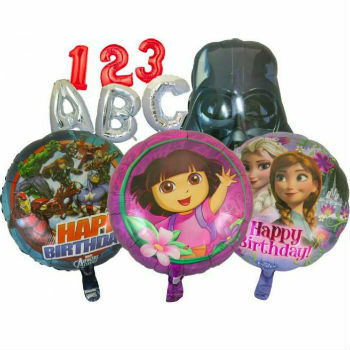 Talk to us, call 1300 720 230 or choose from our extensive selection of balloons on our balloon shop! We’ve been party balloon specialists for over 30 years. Sometimes it’s all about teaming colour with shape and size. It can create the biggest effect. 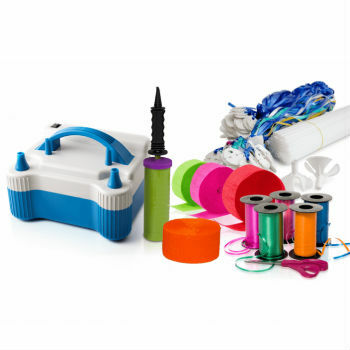 Choose from a massive colour range and party balloon finishes. Do you want one colour or a rainbow of colours? Think of a theme. Create a breathtaking effect and a brilliant photo opportunity. Got an announcement to make? The sky’s the limit when it comes to party balloons. Use your imagination. Party styling with balloons is fun, versatile and affordable. Choose from our vast selection of best sellers below. Minimum order qty of just 50! 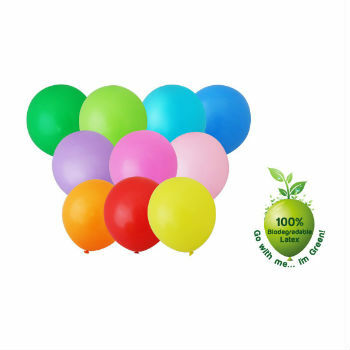 Premier quality, helium grade balloons in a wide range of sizes, finishes and colours. Massive colour range. Standard, Crystal, and Metallic finishes. 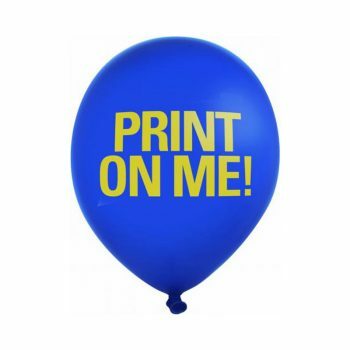 Order Your Party Balloons Online NOW! Buying party balloons online can save you so much time. Ordering is so EASY. We’ll do the rest. Call us at 1300 720 230.